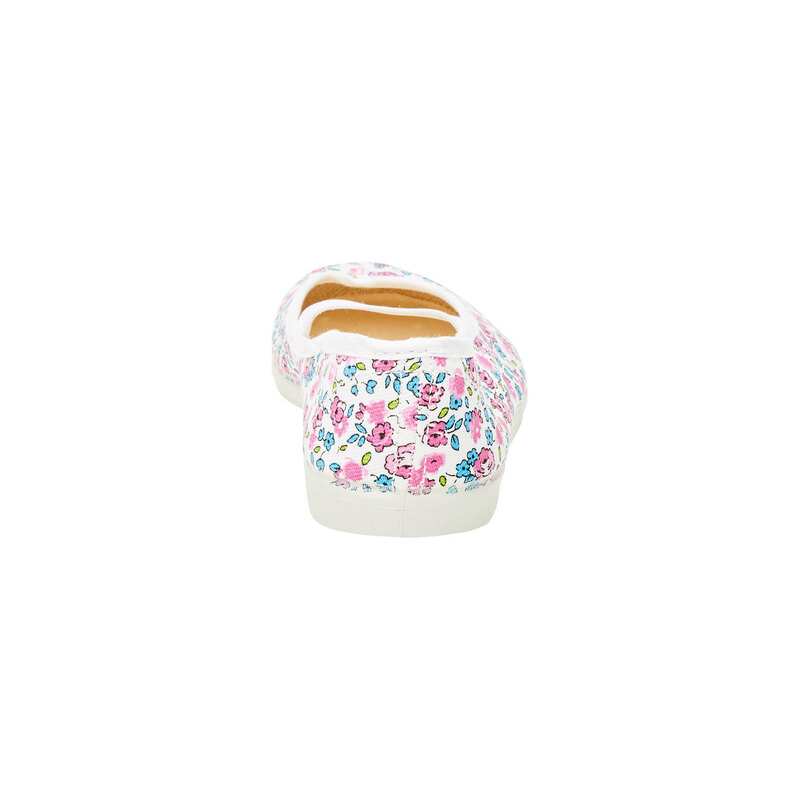 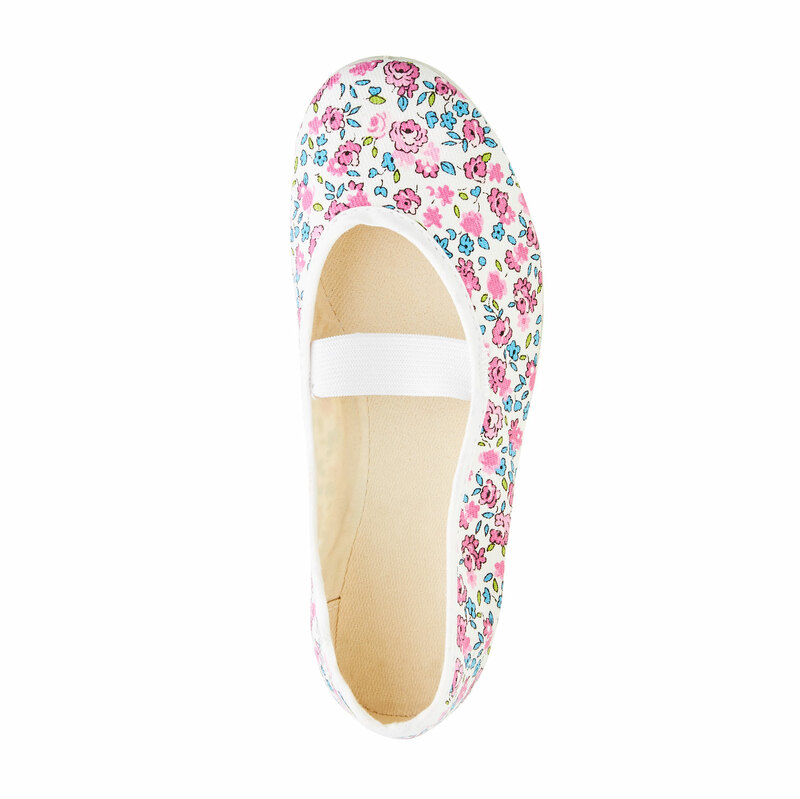 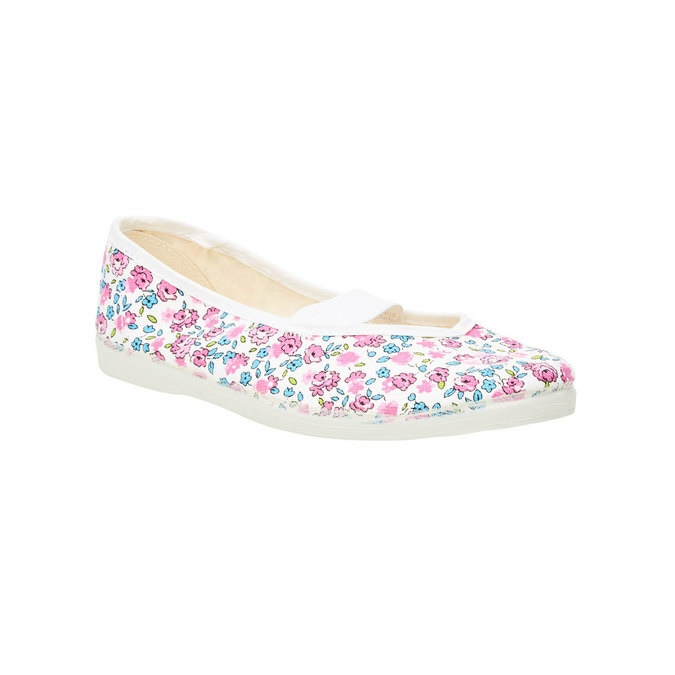 These girls’ slip-ons feature a floral motif in a combination of blue, pink and green. 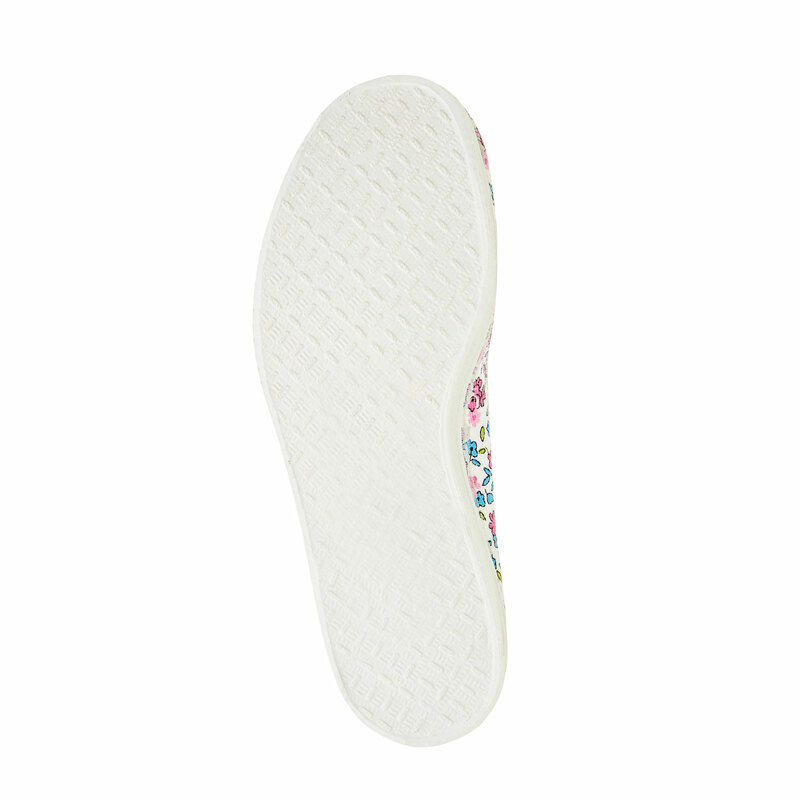 There is an elasticated strap across the instep, which grips the foot firmly in the shoe. It goes without saying that they have a comfortable sole. These are the ideal choice as slippers, slip-ons for school or as gym shoes.